The Creator of the universe uniquely designed us before we were born for specific good works that he wants us to accomplish. This promise is for every believer and not just a few heroes of the faith. God has a destiny for us, crafted by Him and worked into the very fabric of creation. It is a perfectly fitted plan, forming a sweet spot of who we are. In this sample chapter from More: Find Your Personal Calling and Live Life to the Fullest Measure you will also learn more about discovering your unique roll, the characteristics of a sweet spot and much more! Click here to purchase the full book through Zondervan. 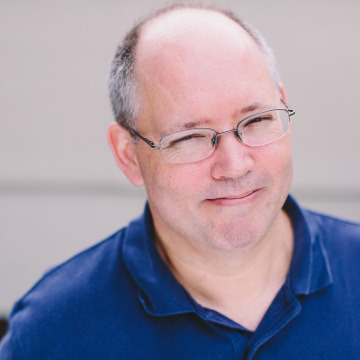 Todd Wilson is co-founder and director of Exponential (exponential.org), a community of activists devoted to church multiplication. The international organization’s core focus is distributing resources for church multiplication leaders. Todd received his B.S. in nuclear engineering from North Carolina State University and a master’s degree equivalent from the Bettis Atomic Power Laboratory. For 15 years, he served in the Division of Naval Reactors on nuclear submarine design, operation, maintenance, and overhaul. After a two-year wrestling match with God, Todd entered full-time vocational ministry as the executive pastor at New Life Christian Church where he played a visionary and strategic role for several years as New Life grew and implemented key initiatives such as multisite, externally focused outreach, and church planting. His passion for starting healthy new churches continues to grow. Todd now spends most of his energy engaged in a wide range of leading-edge and pioneering initiatives aimed at helping catalyze movements of healthy, multiplying churches. Todd has written/co-written multiple books, including Stories of Sifted (with Eric Reiss), Spark: Igniting a Culture of Multiplication, Becoming a Level Five Multiplying Church (with Dave Ferguson), and More: Find Your Personal Calling and Live Life to the Fullest Measure (Zondervan Publishing).